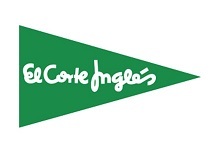 Spanish department store El Corte Ingles is planning to join its department stores with Hipercor hypermarkets with the aim of reorganizing its commercial offer and achieving synergies. The merger, that according to sources is at an advanced stage, aims to reduce costs by reorganising spaces and by sharing, for instance, distribution centres. Although they share spaces, both businesses compete and operate under different corporate and business units, causing duplication. One of the direct consequences of any merger would be the closure of some hypermarkets placed in shopping centres. The rest would be reorganised, reducing the space allocated to supermarkets and increasing the space for other types of sale and services. In the last few months, Hipercor has reduced the presence of its own brands in stores, giving greater prominence to private label brands from distributors like El Corte Ingles and Aliada.